M & I Sewer & Drains, Inc. Comment: I have a septic tank already but would Blake to move it from the backyard to the front of the house. The existing one is 500 gallons and I want to replace it for a 25000 or 3000 gallons. Comment: Trap to sewer has been drained, but because it overflowed over the trap, there is left over crap that is leaving an odor throughout the apartment. Comment: I have multiple water pumps in my basement running 24/7. I believe I'm pumping out water from a natural spring below my foundation. I might need a well? Please help. Staten Island Septic Tank & Well Services are rated 4.60 out of 5 based on 40 reviews of 9 pros. 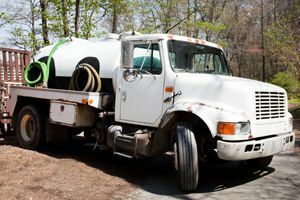 Not Looking for Septic Tanks & Wells Contractors in Staten Island, NY?